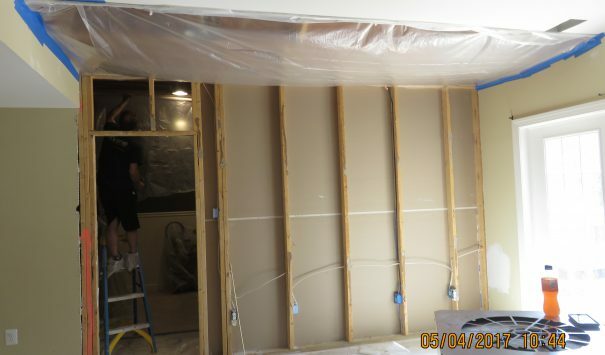 The main waterline to the refrigerator broke in this two story home, causing significant water damage in this high end home. The water cascaded down the wall from the first floor and into the basement where it pooled. 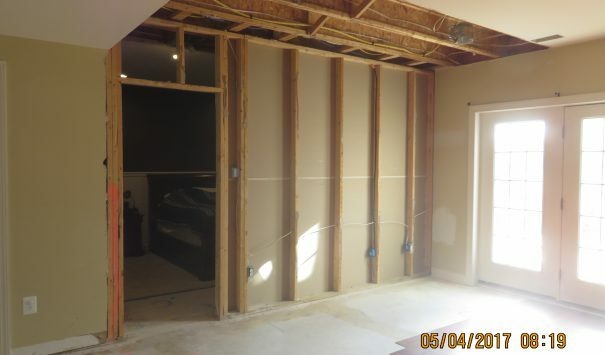 The homeowners contacted Cityline for our remediation services. First the stagnant water was removed from the kitchen and basement. 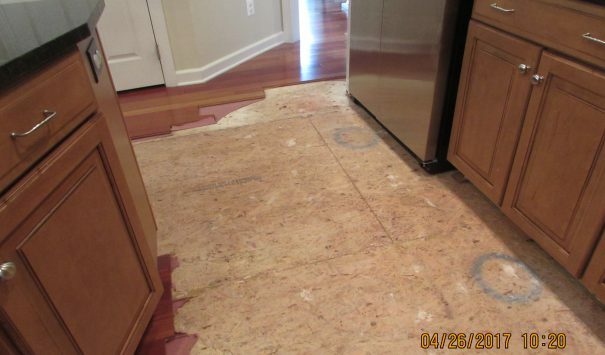 Then the damaged floors boards and walls were removed. 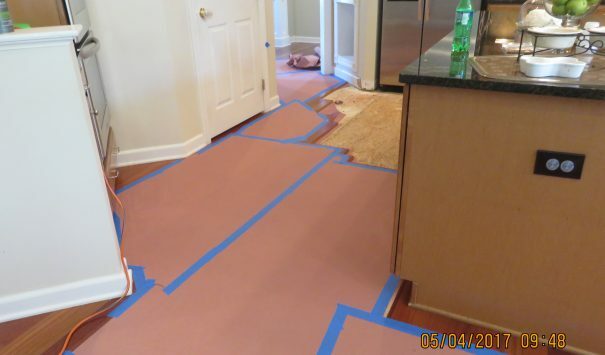 To better protect the home, we lay down protection on the floors to prevent wear and tear. With the floors protected we brought in the equipment needed to properly remove the moisture. After the moisture was removed the areas were treated and clean out. 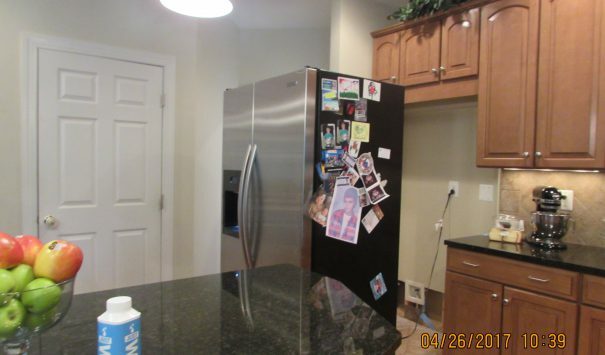 Along with this work, the water line to refrigerator was repaired and replaced. With everything repaired and properly decontaminated, we restored the home to the way it was before.